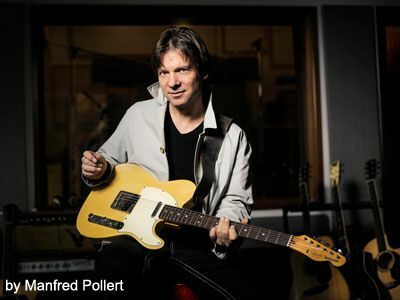 Guitar players, professionals, collectors, beginners and lovers of all things guitar! 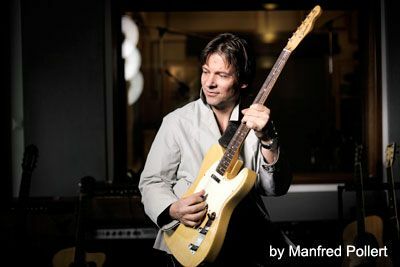 My name is Gregor Hilden, I am a guitar player located in Münster, Germany. Also, for many years now, I have been a professional dealer of selected guitars and assorted equipment. I sell by personal appointment or by mail order. All entries on my inventory are quality instruments only, either vintage, second hand or new. They are meticulously selected according to my personal preferences. That means, most are very resonant and light weight instruments that sound excellent and play comfortably. Many are great investments, too, as they will very likely increase in market value. In any case, all guitars offer excellent user value. Customer satisfaction for both players and collectors alike is what I am working for. If there is any issue with a guitar like refinishes, repairs, non-original parts, or worn out parts, it will be said so in the description of the instrument in question. Those issues will be reflected in the price. I will personally set up every instrument professionally (neck angle, neck relief, string action, intonation, pickup height, etc.) including a new set of strings with the string gauge of your choice. However, you can check out any instrument by appointment either at my place here in Münster, Germany (sorry, only at bedroom level). Just give me a call or send a mail. All prices are given in Euros (€) and include all required taxes. If you live outside the European Union, the 19 % VAT can be deducted if the item's price explicitly includes turnover tax. Also, the tax can be deducted if you are a professional musician, a dealer or other music pro with a valid tax ID. Prices will usually reflect current average market value (dealer prices). I will not attempt to disguise the fact that I am trying to make a profit here, as I am sometimes "accused" of - I am a pro dealer with a registered trade. I payed for all instruments on my stock list at my own financial risk. I spend many hours a day to find great instruments, original spare parts, and accessories. I take a lot of time and patience to check if an instrument and its parts are original etc. (which often requires to take an instrument apart) and take fotos of everything. I perform whatever maintenance work seems necessary, put everything back together, set the guitar up and restring it. Then I will produce videos of the guitars for sale (that alone is € 1000 per month for my camera man! ), so that everybody can get a good first impression without having to come by. Additionally, there is the task of keeping the website up and running, staying in contact with musicians, providers, customers, etc. Also there are import /dealers taxes, customs charges, shipping, warehpuse costs, turnover taxes and many more things to be payed. 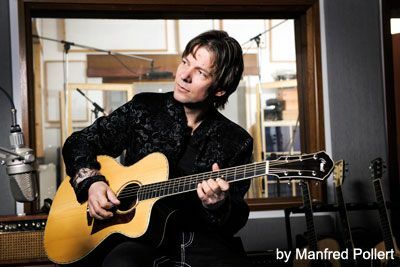 What I am trying to say is, I love guitars and I put a lot of effort into my trade. I take pride in what I do and I am trying to provide you with possibly the best piece of equipment your budget allows for. I can also spare you the risks usually associated with the purchase of vintage or second hand guitars - but I could not do so if my business would not support me. You are welcome to ask any questions about the items for sale, I will try to answer as soon as I can. Please understand that I can not take the time anymore to answer questions like "Do you think Mexican Fenders are better than Korean Epiphones" or "What's your favourite stompbox under $ 100?" and other general gear-questions. I understand that the casual and informal way of internet communication is inviting to ask anything you ever wanted to know about guitars. However, I get about 150 emails a day (!) just like this, it would take many hours each day just to respond to all these general questions. That is simply impossible to do. However, questions related to items on my inventory I'll try to answer quickly. Also, please do not send any big e mail attachments (pics, videos, sound clips, whatever) unless I have asked for. This kind of data can take up an awful lot of space and fill up my mail box in no time - important messages often do not get through. Thank you for your kind understanding. Occasionally, I will buy or trade in quality guitars and guitar equipment. If you have items to offer, please list them as detailed as you can and tell me what prices you are asking for - I do not do appraisals. Please decide what you are asking for - I will come back to you. 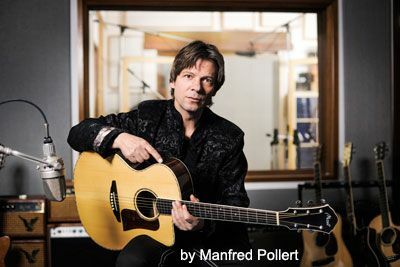 If you want to carefully check out and pick the guitar or piece of equipment you are interested in, please contact me me for an appointment here in Münster, Germany. However, if that should not be possible, I will have about anything shipped to about any place in the world safely packaged - right after I recieved your payment.